Aga Khan Foundation Tanzania is working towards strengthening capacities of smallholder rice farmers and famer groups to enhance productivity and reduce postharvest losses, in Morogoro region. AKF will implement the rice value chain project to enhance productivity, reduce post-harvest losses, facilitate value chain actors to enhance business services, improve infrastructure and management of post-harvest storage facilities, collective marketing, value addition and market linkages. The overall objective is to increase competitiveness and improve post-harvest value chain efficiencies among smallholder farmers in the rice sector. To lead on market linkages in the rice market system, supporting millers, producer groups, enterprises, and larger private sector to collaborate. Develop capacity of local Micro, Small, Medium and Growing Enterprises (MSMEs) in terms of business growth, marketing, operations, technical/agronomic development, and strategy. Advise on technical support for the businesses in terms of operations (predominantly for millers, traders, transporters). Minimum of Bachelors Degree in Business Management or related field. Preferably a Masters in Business Administration but candidates with experience will be looked at closely. Commitment to teamwork. Must have a good sense for efficiency and effectiveness, and an eye for innovation. 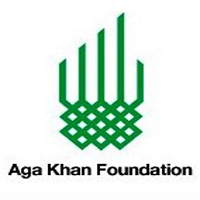 Interested candidates should submit a cover letter, CV (not exceeding four pages) and the names and contact information of three referees before close of business by 26th October 2017, to Country Human Resources Manager, Aga Khan Foundation, Tanzania, by e-mail to recruit.akftz@akfea.org. Please mention the title of the position in your email and do not attach any document other than the CV and cover letter.